The offerings within this Alaska Real Estate Directory include links to prominent Alaska Realtors and their listings of homes, lots, cabins, condos, raw land and property in Anchorage and throughout the state. Also included are private home, cabin and land listings as for sale by owner listings. Finally, included in this site are rental properties. as well as more remote real estate for sale in other parts of Alaska. This rare 5 acre waterfront parcel is located 25 miles up Alexander Creek near the confluence with Suckers Creek. Access is by river boat, snow machine, or supercub. There are 2 cabins on the parcel. The rear cabin is 20x28 and has 12 bunk beds. The front cabin is about the same size but needs a little TLC. 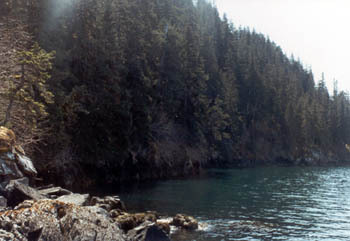 Fishing is quite good for silver, king, and chum salmon as well as rainbow trout and grayling. Brown bear, black bear, wolves and moose are harvested in the area. Will sell whole parcel with both cabins for $175,000 or half parcel with front cabin for $110,000. Contact owner at (907) 688-4829 or email: Len8185@aol.com . 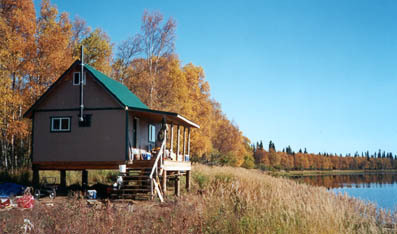 Enjoy the peace and quiet of a waterfront cabin on the Kenai River near Sterling, Alaska. Incredible unguided shore fishing and guided fishing packages available. 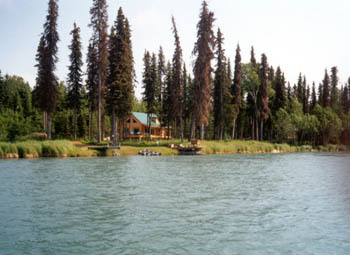 Prime rural Alaskan property suitable for an exclusive lodge or other residential or commercial purposes. Will sell all or half. The Nushagak River has the best king and silver salmon fishing in the state and is the access point to the Tikchik area. Contact owner at (907) 688-4829 or email: Len8185@aol.com . Put Your Ad Here !